Today is the first day I did not take a nap since arriving in India. I’m hoping that means my jet lag is finally gone! While Dad was at work, Brenda and I worked around the apartment. The air conditioner in the master bedroom was dripping water so a repair crew had to come in to fix it. They were supposed to be here at 10:30 but it was after 1:00 when they finally showed up. I worked on my Curriculet assignment — finished it! Since I spent my time in the apartment, I thought I’d share a few things that are a little different here than at home. For breakfast, I wanted to make a hard boiled egg. Simple enough. But first I had to get water. We don’t drink the water from the tap here; we drink bottled water. 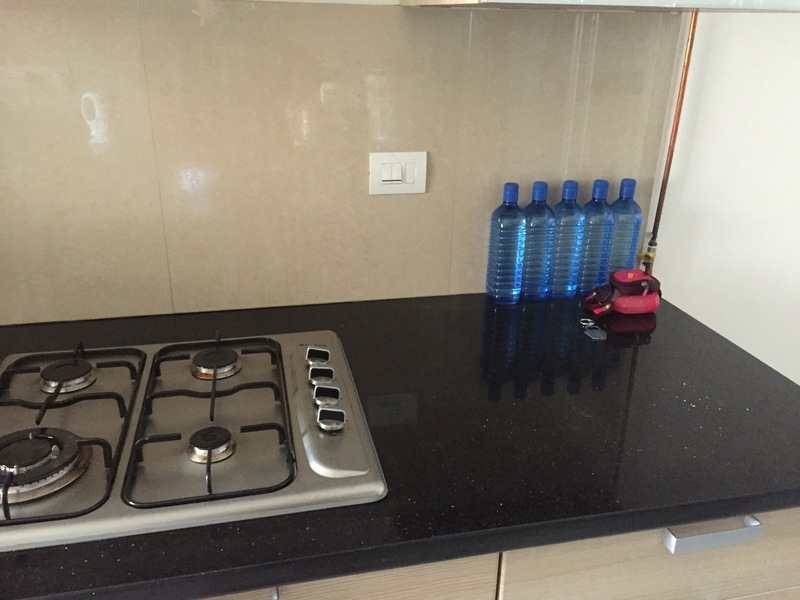 But cooking with bottled water can be expensive, so we use water from the filtration system installed in the kitchen. Then to cook the egg I had to turn on the gas and the electricity for the igniter on the stove to work. 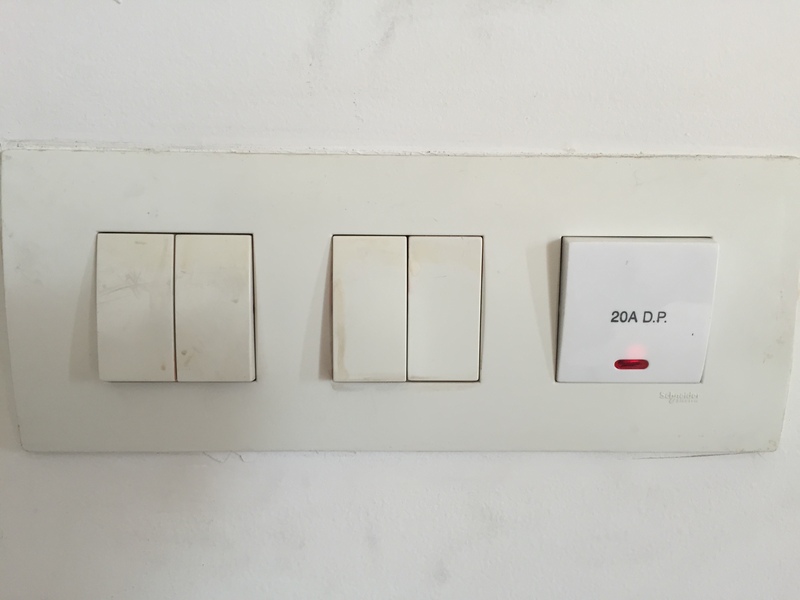 All outlets and electrical appliances are switched so it is not uncommon to see many switches on one switch plate. 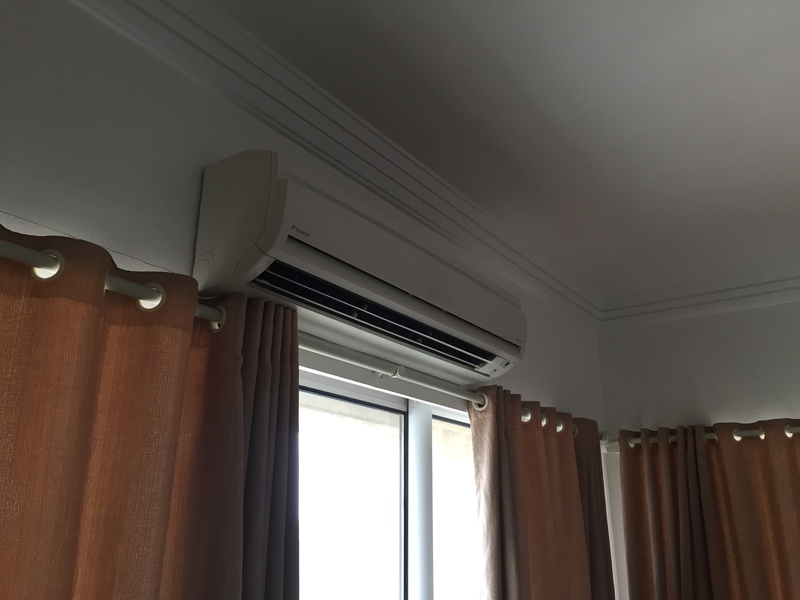 Each room in the apartment has a separate air conditioning unit. 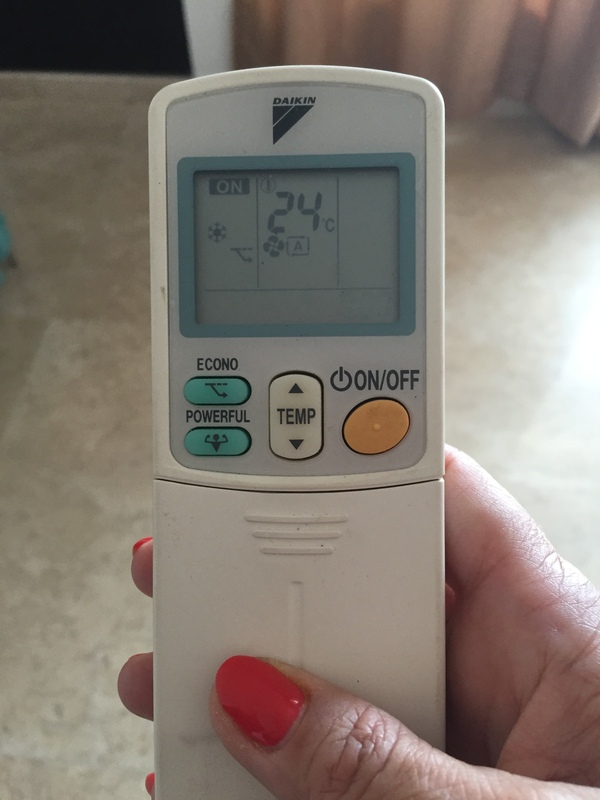 A remote control is used to change the temperature, which is all done in Celsius. I am woefully inept at the metric system, so I can tell you that I keep the AC in my room set anywhere from 22 – 24 Celsius and I have no idea what that temperature is! Taking a shower requires a little bit of advanced planning. The hot water heater needs to be turned on first. 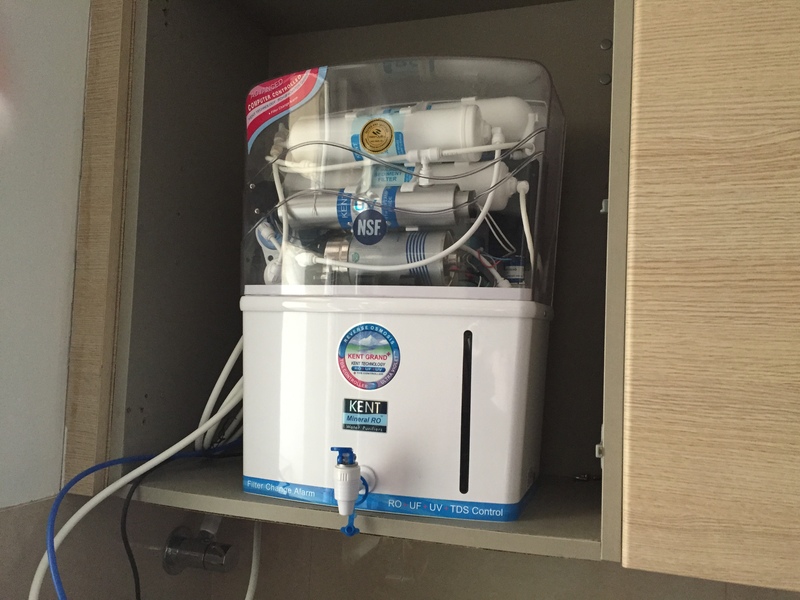 There is a separate switch for each water dispenser in the apartment. It takes about 10 minutes for the water to heat up, so you have to know you want to take a shower 10 minutes before you get in! Some people might think things like the ones mentioned here are a hassle, but personally I find them to be part of the excitement of visiting another country! The switches on the wall are for the igniter on the stove; the yellow latch on the pipe to the right turns on the gas.